And while i’m getting ready a set of goodies for my return – and freebies too:)-, let me remind you of the amazing item chair goodie at the store!! Just camp for 30 min and win it! It’s great for this hot Summer!!Enjoy!! July Item Chair Goodie is out!! Camp for 30 min and win this amazing tattoo! All item chair goodies are no transfer but mod and copy! 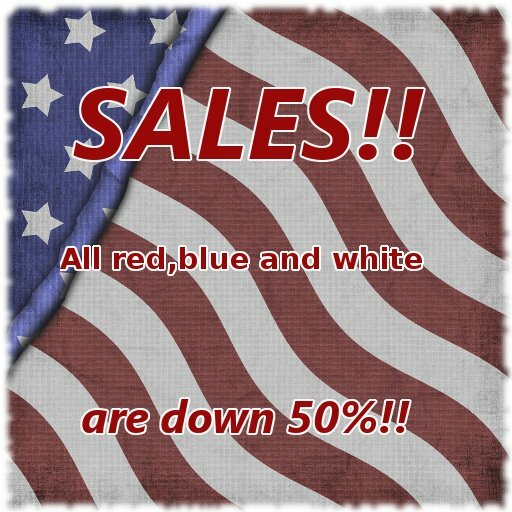 There’s a HUGE SALE at LW*!!! All BLUE, RED and WHITE are down 50%!! There’s items at 8$L! !OMG, what a deal!! Plus more goodies!! There’s 4th July DOLLARBIES all around the store just for you, mixed with special editions of some designs, for a great holiday! And a special GROUP GIFT!! Join the Luxurious World group in world and click the sign to get the gift!! June Item Chair Goodie is out!! Camp for 30 min and win this amazing bikini and pareo! FIND ALL ITEMS ON SALE IN THE STORE! !AND GET THEM FOR JUST 13$L!!! 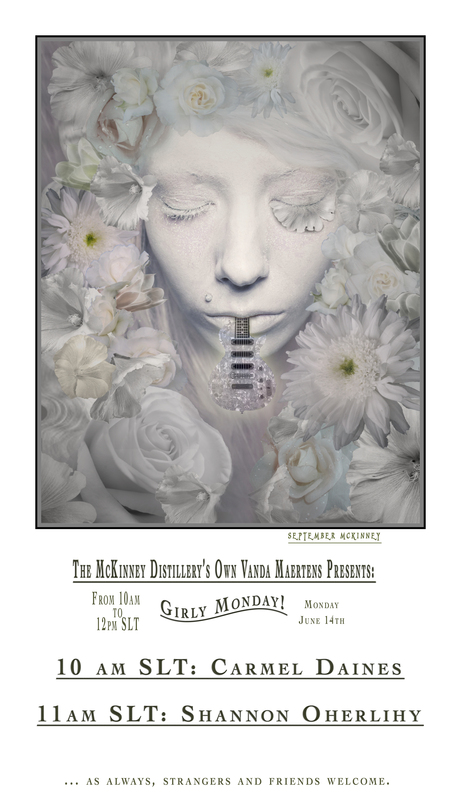 Today, 10am slt at Mckinney\’s Distillery , we present you a very special Monday! A special event prepared with tons of love and talent! 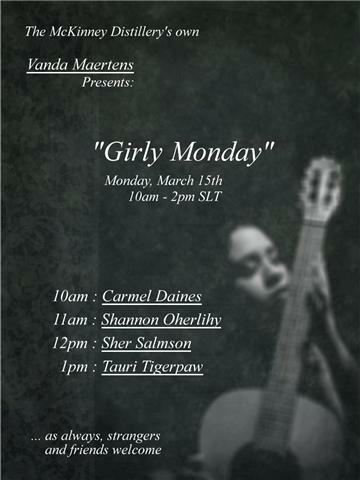 Two hours with the best female musicians in SL! If you love folk, acoustic guitars and sweets voices, you can’t miss this show! 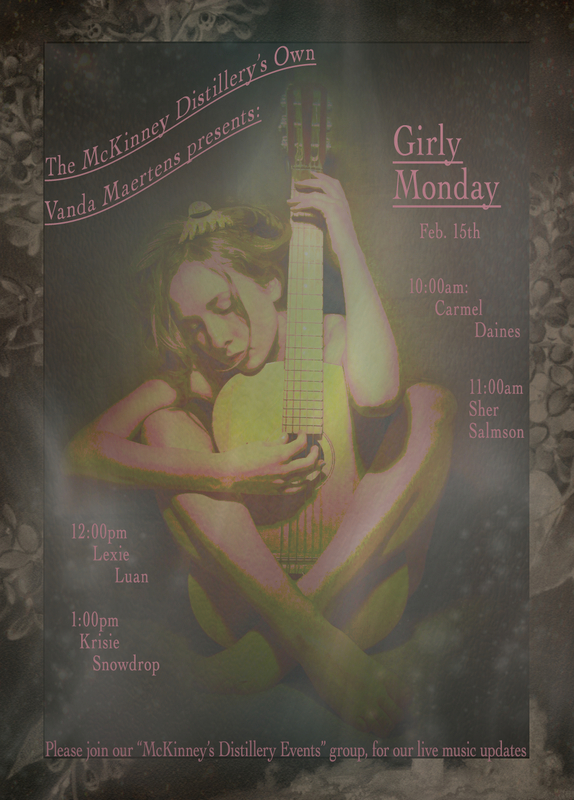 I hope to see you joining us at this amazing show! Shows will be in the pub. Camp for 30 min and win an amazing dress for FREE!! If you are a neko, grungy girl, dolly or just love skulls, here’s a gift for you! Comes in 2 layers and with 2 skirts. You may choose pink or black!